﻿ Barça vs Real Madrid preview: Who should play upfront with Ronaldo? 24.01.2012 » Barça vs Real Madrid preview: Who should play upfront with Ronaldo? The 5th "Clasico" of the season will take place this Wednesday and after 1 draw and 3 losses so far, Real Madrid is forced to win at the Camp Nou, in order to maintain the hopes of lifting the Copa del Rey trophy for two consecutive years. 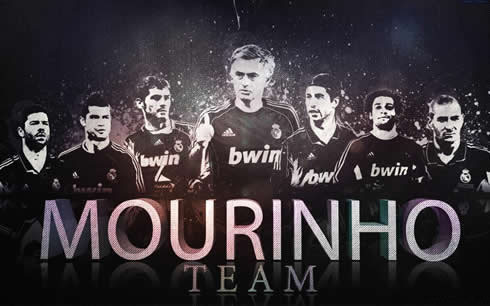 José Mourinho, who has been under attack by several Spanish newspapers in the last days, mostly due to his conduct with a few team players as well as for his tactical choices, will still need to reinvent his team so the Merengues may finally surprise Barcelona at their home ground. One of the most compelling questions regard precisely the partnership that will be made with Cristiano Ronaldo in the attack. Should the Portuguese coach give another chance to the trio composed with Ronaldo, Benzema and Higuaín, or was that one of the reasons why something has failed last week? Without nothing to lose, will Real Madrid really need to go after goals desperately against Barça, after having suffered an harsh defeat by 1-2 in the 1st leg? A few days ago, Zinedine Zidane issued a challenge to everyone who insists on criticizing José Mourinho tactical choices. The former French glory, asked for every football coach to share their insights on what would be the best way to play against this Barcelona team. Even though I'm far from being called a football manager, and neither I blame Mourinho tactical decisions for being the main reason why Real Madrid keeps failing to overpower Barça, I'll still attempt to approach a few tactical concerns and leave a few suggestions for our readers to comment about. By starting with the goalkeeper and the backline, there's probably a consensus when picking Iker Casillas for the line-up. He's the team captain and certainly one of the top-3 goalkeepers in the World right now. As for the defensive back line, I would go with the classic 4 defenders, with Marcelo on the left, Fábio Coentrão on the right, while Pepe and Sérgio Ramos would take the center positions. I'm a confessed fan of Marcelo qualities and even though his defensive skills can be questioned, I don't think this is a game where Real Madrid may ignore his valuable contribution when supporting the attack. The right spot would probably be disputed between Diarra, Coentrão, Arbeloa and Altintop, but my pick would be the Portuguese player. He may be left-footed but he'll certainly bring enough speed and competitive aggressiveness to close spaces on his side and defend one-on-ones, unlike Arbeloa for example, who besides dealing very poorly against fast wingers, also doesn't add much to the team when attacking. In my opinion, Diarra can have a vital task on the midfield, so he should be discarded as a right-back for this game, while Altintop would be like a cheap version of Fábio Coentrão when playing in this position. Regarding the center of the defense, one of my choices would be Sérgio Ramos, who seems to be in a great form lately and will always pose a serious threat to Barcelona, whenever there's a corner or a side free-kick to be taken. He would partner with Pepe and I know many people will immediately say this is a bad idea, but as long as he is mentally fit, I believe he's also an indispensable asset for such a tough game. Moreover, Pepe would be a lot less involved in disputes and loose balls if playing on his natural position, which is center defender, as he'll also think twice about doing anything unnecessary this time, after everything that happened just a week ago. What will allow Pepe to be a starter was this Monday's announcement from the "Spanish Competition Committee", where they ruled out any possibility of applying a ban/suspension to Pepe that could affect his presence in the Clasico, so he'll certainly be eligible for José Mourinho. A "must-play" card in my view, even though I'm aware of the risks there will be, in seeing him being sent off. One of the key areas in everyone's mind is definately the midfield and there's a good reason for it. That's precisely where no single team in the World has ever managed to outclass this Pep Guardiola side so far. Barcelona have always had more than 50% of the ball possession in all their games, since Guardiola took over, in 2008. An impressive mark that includes more than 200 games during these 3-4 years of the Guardiola era, where opposing sides always failed to steal the ball from Barcelona midfielders, for the majority of the game playing time. I honestly can't think of any midfield brought up by the available Real Madrid players, that could contradict this trend, but there's something that can probably be done to at least, mitigate these differences. I would go with a 5-men midfield, which is often seen as a defensive variation of the classic 4-3-3, where the 2 "wide" forwards pile up in midfield when defending. My midfield for Wednesday would then have Xabi Alonso and Lass Diarra playing in front of the defense, Mesut Ozil ahead of them, while Kaká and Callejón would assume the false wingers task, since they would spend most of the time closing spaces while chasing the ball with the rest of the team. These choices might sound awkward, but confining Xabi Alonso and Diarra essentially with defensive tasks, giving freedom to Ozil to go upfront and support the attack in the few times Real will have the ball, could actually work in my view. Ozil is still one of the most technically gifted players in the squad and while Nuri Sahin fails to impose in Spain, he's the best available man to link the team sectors. As for the remaining two "false wingers" and with Angel Di María still sidelined due to an injury, when defending, both Kaká and Callejón would pile up with the rest of the team, helping covering all the gaps and spaces, so the Blaugrana tiki-taka may be forced to fail at times. What would then be necessary is that, when Real recovers the ball, both Kaká and Callejón make use of their pace and speed to quickly give width to the team and explore the wings. With the 5 midfield players revealed, there's only 1 spot left to be assigned (remember this is a 4-5-1 / 4-2-3-1 system) and names such as Cristiano Ronaldo, Karim Benzema, or Gonzalo Higuaín haven't been picked yet. Needless to say who's going to take the center forward position, but I'll still explain my choices in a few instants, since I don't recall seeing Mourinho leaving 2 of these 3 players on the bench, in such an important game. Cristiano Ronaldo would obviously fill the last spot as the team most attacking unit, while Karim Benzema and Gonzalo Higuaín would be left on the bench. I'll try to start by explaining why for example, I picked a player like Callejón instead of the French or the Argentinian world-class players. As everyone already know by now, Barcelona won't be giving away the ball possession that easily and will most likely end the game with ball possession stats between the 65-75% range. Both Benzema and Higuaín are tremendously skilled when the team can reach upfront and set them up with plays, but in a game such as this, where the need of pilling up players in the midfield prevails over the temptation of choosing the strongest players and then adjust the tactical system to them (as I believe many people do very often), I think Kaká, Callejón and Ozil would fit better for the kind of tasks they'll have ahead of them this Wednesday. Moreover, I have the sense that both Kaká and Callejón are faster than Higuaín and Benzema and that is also a relevant factor, since they are expected to create difficulties to Barça's defense, by cutting fast to the wings and explore the spaces given by the traditional Blaugrana high-line defense. As for Cristiano Ronaldo, I would assign him with the center forward position so he may focus mainly at seizing counter-attacks opportunities and this way, avoid those sprints we've seen him doing lately, in an attempt to close spaces in the Merengues defense. If there are games where Real Madrid needs Ronaldo's inspiration and phyisical freshness for the big moments, then this is it! For those who may have skipped the first paragraphs, let me just remind you that this has simply been my individual approach and take on what would be the best way to play against Barcelona, by always always making an effort to have in mind the current circumstances (1-2 disadvantage for Real Madrid) and restrictions (injured/suspended players). I have to admit that these suggestions might seem over-defensive for a team who needs to recover from a 1-2 defeat (after the loss in the 1st leg game), but I couldn't think of a more offensive way to approach this game, without making me feeling that this could very well turn into another disaster, as the 5-0 turned out to be 1 year ago. Anyway, I'm sure Mourinho will come out with a very different system on Wednesday, which will also lead to a different line-up. I hope some of you may also share your thoughts on the game and please feel free to criticize my tactical suggestions and lack of courage revealed! And just before finishing this "Clasico" preview, here are also my predictions for what will actually be the line-up Real Madrid is going to start with against Barcelona, in an attempt to get inside José Mourinho's mind. 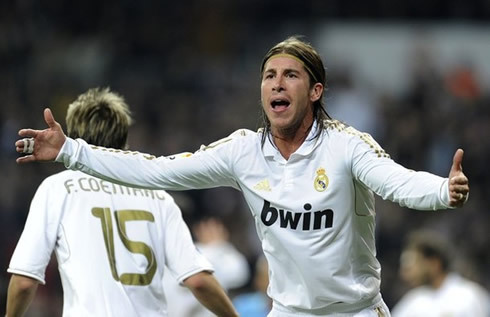 Real Madrid will now face Barcelona in the Camp Nou, for the 2nd leg of the Copa del Rey, in the 25th of January 2012. You can watch Juventus live stream, Barcelona vs Real Madrid live, as well as Liverpool vs Manchester City from our football live streams section. Cristiano Ronaldo is expected to be a starter against Barcelona, this Wednesday.